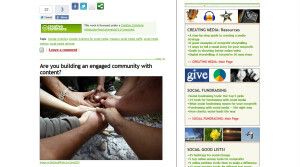 Socialbrite helps nonprofits and social enterprises with all facets of social media. Their services include strategy, creating a social presence and running campaigns. In addition to their strategic consulting services, Socialbrite is a learning and sharing community with more than 1,000 free articles, tutorials and resources about how to use social media to advance an organization’s goals. The DCGWS Internet Solutions was tasked to revamp Socialbrite by having an intense website development and by adding WordPress plug-ins that speak directly to the needs and desires of the readers of the site. DCGWS Internet Solutions started to convert the old PSD to Html including custom programming, plug-in development, website maintenance, and server administration. Every page fulfilled key requirements of an effective website. 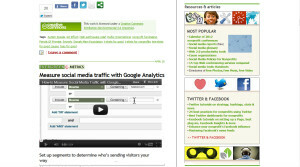 SocialBrite now has a more user-interfaced design, directing users to their specific needs. Plug-ins that have been added turned out to be very useful to the readers.